Every once in a while you need to walk away from your current work-in-progress and write something different. Different genre, different story, different something. Today's your day to do just that. Set your timer for a time between 15 and 30 minutes, then choose a prompt from those given below and do something different. If you normally write romance, try turning the prompt into a mystery. If you normally write thrillers, write science fiction. If you normally write fantasy, try noir. Seriously. Write like Raymond Chandler -- it's a lot of fun and can loosen up your brain for your more serious writing later. Pick a prompt and have fun! Prompt 1 - Old lady on the beach finds a walking silver Liberty half-dollar in the sand. What does she do with her find? Choose your point of view: the old lady or a person who sees her pick it up. (Link provided for you young-uns who don't know what that is. Also for those not familiar with old American coins). Prompt 2 - Man comes running out of a bank with a canvas bag in his hand. Why? Choose your point of view: the man with the bag, a teller inside the bank or a person on the street who sees him come out. Prompt 3 - Person (you determine gender) trying to buy fruit from outdoor vendor drops a wad of cash in the process and doesn't notice. Choose your point of view: the person who drops the cash, the vendor or a person who witness the money drop. Writing these workshops is fun but they need to make me money in order for me to continue. Please consider making a PayPal donation to keep them coming! Long-time readers know I'm a Tolkien Geek -- but did you also know I'm a Trekker? Have been for years. To the point where the new movie has me ticked off some. Too many explosions, too skimpy on plot, which is exactly what Star Trek isn't. The people in the episode below, however, have got the spirit exactly right, even if its a little rough around the edges. Then again, the original series had some rough spots, too, so I'm okay with that. To read about their background and what they're working to accomplish, click here. To get up-to-date information about the newest episodes, you can join their Facebook page. To get a taste, watch the first episode, "Pilgrim of Eternity" below. And if that face looks familiar, you are a Trekker, too! Michael Forrest, Apollo from Who Mourns for Adonis? making a return visit. Want to know more? Here's their official site. Tomorrow this blog will return to its originally scheduled writing workshops. In the meantime, enjoy this look back -- erm, forward. Remember when I said, I work best on non-fiction when I’m 1) in edits, 2) have too many outside, real-life events that keep me from entering the world of my book? I should add a third reason: sometimes I like to procrastinate. Currently I have a cold and just can’t seem to get my clouded head into my work in progress. Instead, I’m coming back and finishing installment two of the promised Here Come the Brides analysis. If you haven’t read Part I yet, you can find it here. The brides of the television show came from New Bedford, Massachusetts, not Lowell, MA where the original Mercer girls were from. Why the difference? I suspect it has to do with the fact that Lowell is land-locked and New Bedford is not. In the interest of storytelling, when you only have forty-eight minutes of time to use (remember, a “one-hour” show needs to leave time for commercials! ), it is far easier to have the brides in a sea-side town where you can simply dock the ship rather than have to add in an overland journey. While Ada Mercer brought eleven ladies to the west coast, the producers of Here Come the Brides needed more if they hoped to have a long-running series with lots of stories to be told. Therefore, Aaron Stemple’s bet with Jason Bolt is for a grand total of one hundred young women. If only ninety-nine arrive, Aaron wins the bet – and Bridal Veil Mountain, the Bolt brothers' treasured legacy (rest assured, all one hundred arrive and the mountain is secure, as are all future story lines). Of the hundred brides the Bolt brothers brought (try saying that ten times fast! ), however, only two are given regular status in the world of television acting, Candy Pruitt, played by Bridget Hanley and Biddie Cloom, played by Susan Tolsky. All the other brides are extras who serve as background scenery for various scenes. While there are a few semi-regular brides in the first season, many speaking brides are played by guest stars who have entire episodes built around their characters. The two “permanent” brides, Candy and Biddie, like the Bolt brothers are also appropriately named (see Part I post). Candy is sometimes short for “Candice” but in the TV show, however, she is never referred to by any other name other than “Candy,” so we can assume that is her full first name. It is not a period name for any time in the 1800’s, the first of many anachronisms we will find. “Candy” as a girl’s name doesn’t begin to appear on the lists of popular girls names until 1943, where it appears as #907 out of 1000 ranked names. It peaks at #267 in 1969 – the same year the series has its first season. It may not have been a popular name in the 18th century, but the TV series made it popular in the 20th. The 21st century, however, has a different take, with one baby-naming site calling it “too sugary sweet and inconsequential for a modern girl.” Hmmm...apparently we are all still girls...but again, another post for another day! Candy Pruitt is among the first to become engaged. Her ongoing relationship with Jeremy Bolt (played by Bobby Sherman) is unique among the relationships in the series’ version of Seattle in that we never see them take the final step to the altar. We get to see other brides’ wedding ceremonies, but circumstances always keep Jeremy and Candy from taking that final step. This, of course, could be explained in two ways. One, keeping them apart gave the writers lots and lots of story lines. Each time viewers thought the two might actually make it to the church, something would happen and they’d be split for at least another week. The writers must’ve had a lot of fun finding new reasons for the two of them never to get hitched. The season two addition of Candy’s young niece and nephew added even more plot lines and reasons to keep Jeremy and Candy from tying the knot. And two, Bobby Sherman was a bubblegum pop star who brought a weekly audience of young girls to the show, all of whom wanted to be Candy Pruitt and get to stare into those dreamy eyes (full disclosure here: yes, I was one of those girls!). To marry him off to Candy would close the door on his character’s availability, therefore ticking off an entire segment of the show’s core audience. No, better to keep the two of them apart and keep both the story lines flowing and the audience tuning in. Biddie Cloom, the other recurring Bride character, is doomed to be a spinster from the start. Her first name refers to old, unmarried women who are more worried about their neighbors and the latest gossip than anything else. Modern day slang version isn’t much better: college-age girls who are air-headed and drunk most weekends. Her last name rhymes with “gloom” giving viewers a short-hand synopsis of her life. Based on her name alone we know this woman is an empty-headed female who gossips, likes her drink and will never find a husband, even among the most needy men of Seattle. I remember being offended by how people treated Biddie when I watched it all those years ago and I was never sure if I was angrier at the people of Seattle (including all the leading players) or at Biddie herself. As an adult watching it now, that same feeling came to the fore again, a discomfort whenever she did something wrong and got scolded for it. With the wisdom of age, however, I’ve figured out why I was offended – and it had nothing to do with Biddie’s actions or reactions. Time after time the people of Seattle tell her she’s “silly” or call her “addle-brained”. In general, they treat her shamefully. Yes, she is silly, she is an air-head who often gets things wrong and yes, those traits can be played for comedy (Lucille Ball, anyone?). But Jason and Lottie and even Candy never find the humor in Biddie’s character, all they find is the irritation. Susan Tolsky saw Lucille Ball as a role model for comediennes (Etter 48) and Ball had those who scolded her (“Lucy! You got some ‘splainin’ to do!”). So why was it funny when Desi did it, but not when the characters of Here Come the Brides scolded Biddie? I think the answer lies in love. For all their marital problems, Desi and Lucy were in love (at least publicly). He forgave her for every mistake, every problem she created. But no one loves Biddie. She’s an irritant, a social mis-fit who gets passed over or passed around on the dance floor, pushed aside or worse, patted on the head like a little girl while they sigh at her incompetence. Susan Tolsky had a great sense of comic timing and a wonderful aptitude for pratfalls and funny faces. It’s too bad the writers missed an opportunity to use her talents to the fullest. She could have made people laugh out loud instead of squirm in their seats. Lottie Hatfield (played by Joan Blondell) is NOT a bride, yet she is the unmarried saloon keeper, a no-nonsense woman who runs a “clean” bar, meaning no dancing girls or hanky-panky allowed. Only good, old-fashioned drinking, although she also serves meals. Her first name is often the diminutive of “Charlotte” but again, since she’s never referred to as any way but by “Lottie” it’s fairly safe to assume that’s her full first name. And that name, at least, fits the time period. “Lottie” is a top-100 name for girls at the end of the 18th century, when Here Comes the Brides takes place. In the first film treatment (when it was still going to be a musical), the character name was Lottie, but she had a different last name, so I’m going with Nash as being the namer of this character. Of course, it didn’t hurt that Alan Marcus’ wife was named Lotte – a similar enough name to cinch the deal. As for her last name, Hatfield, I could find no reference that would make anything of it. The long-standing feud between Hatfields and McCoys was certainly common knowledge in the 1960’s when this series was created, but I can’t find any evidence that our good saloonkeeper was of any relation. It could be this name was chosen just because it sounded good. Because, age-wise, she is among the older characters in the series, Lotte plays the role of the mother-character, not only to the brides, but to the Bolt brothers as well. She also serves as the town’s conscience, reminding them to do what is right, keeping the men in line even while serving them drinks. When the brides have a problem, it’s to Lottie they turn as their mother away from home. When anyone needs nursing, Lottie is there to take care of them. When Jason needs advice, it’s often Lotte he comes to, pouring out his troubles so she can offer a solution. Of course, we cannot forget the last of the cast regulars, even if he isn't a woman, the loveable sot, Captain Roland Francis Clancey (played by Henry Beckham). I am amazed, watching through these second-season episodes, at how many he was in, not just as a side character, but as a lead, working himself up to one of the town councilmen by the second-to-last episode (“Absalom”). Captain Clancy makes a regular run between San Francisco and Seattle, which is useful when the writers want to take the action outside of Seattle. He also serves as the town’s comic relief. He’s often drunk (on at least one occasion with Biddy Cloom), which allows for a great deal of physical comedy. Today’s mores do not often find drunkenness humorous, but 1968 is not now and I have enough of 1968 left in my soul to find myself smiling at the predicaments Clancy gets himself into. It is worth noting that Captain Clancy and Lottie Hatfield have an off-again, on-again romantic relationship. More off- than on- to judge by the rolled eyes and ticked-off looks Lottie sends in Clancy’s way when he’s being particularly thick-headed. These are also the oldest two characters in the series, but where people turn to Lottie for advice and mothering, they see Clancy more as a buffoon than anything else. These differing views of these two characters makes for some interesting by-play both between them and among the other characters. I’m sure this was done on purpose by the show’s writers as it gives ample opportunity for storytelling. Because these characters are older, it also gives the writers a chance to delve into their backstories, bringing up people from their past to complicate their current lives. A smart move on the part of the writers! Where Lottie remains a static character, however, her essential personality never changing, Clancy cleans up his act in the second season. He still gets drunk, but less often, becoming a respected citizen of Seattle, even if he still makes his regular runs to other ports. It would’ve been interesting to see further changes in this character had the show run to a third season. Would Clancy have run for mayor? I’d like to think so. Okay, stopping here. There are still a ton of topics (and characters) to explore and I’m still having fun, so you can be assured there will a third post somewhere down the line. If you haven’t read the first, you can find it here. *You may also note I quoted Etter’s book less often in this post. That’s because his book deals more with the actors playing the roles than it does with the characters they played. I found the same problem with his episode guides. There are no synopses of the episodes, instead, each listing contains information on the actors and writers rather than detailing what happened in the episode. A good source for finding out how some of the people involved in the series felt about the series, but not a lot of discussion about the themes and mores the series represents. Over My Enslaved Body, a book by Mystic Shade, is now available on Amazon, Smashwords and at Barnes & Noble as well as at its original publisher, A1AdultEbooks. You can read an excerpt here and find purchasing information here. Remember, Mystic writes "for the shadier sides of our desires." This book is not for the faint of heart! Sorry, folks. I often write these posts a few weeks ahead so I don't get stuck the night before trying to think of something to write about (I pretty much kicked that habit in college). Except this time, the last advance one posted last week and I'm just not ready. While I'm getting my act together, check out some of these other cool sites and I'll be back next week with new writing prompts and observations about the process of writing. Please consider donating to the Red Cross. They are going to be quite busy over the next few weeks. Tonight I'm involved in the JP Morgan Corporate Classic. My team can always count on me to come in last. I'm in Rochester tonight and my goal is to get a personal best (which means coming in at under an hour)! Need a new game to play? I'm loving GeoGuessr.So far my highest score is just a little over 9K. If you beat me, put your score in the comments! And, if you haven't seen the great work of Eric Whitacre's Virtual Choirs, go listen to VC1, VC2 and VC3. Then sign up for VC4! For those of you who have never heard of Eric Whitacre, he's a composer of modern choral music. That's the nutshell version. You can read a longer version and a lot more here. Why am I writing about him today? Because this past Friday, he launched Virtual Choir 4 and I'm a part of it. Yep, I'm singing in a virtual choir with thousands of people all over the world. Why? Because it connects me. Because it makes me feel a part of something larger than myself. Because I love to sing and haven't in far too long. This year my husband intends to join me, submitting his own video. I expect he'll sing the bass line, possibly the tenor 2. I'll submit an alto 2 line and, if I can, an alto 1 line as well. What's especially cool about this year's choir is the fact that our singing tracks are only part of the piece. There will be a techno/dubstep/dance track that runs under it. After it's released, he's hoping others will take it and do remixes and create something new from what we provide as the base. This is so very, very cool! And, as icing on the cake? It premieres at the 60th anniversary ceremonies for Queen Elizabeth at Buckingham Palace. I'm going to sing for the Queen even though I'll never leave my study to do it! Ya gotta love technology! Off to practice...and you should think about joining us! There is no doubt about it. Between the idioms each generation coins and the regionalisms that mark our speech, language is alive and thriving. Sometimes those changes are all for the good (did we ever really need a comma between the month and the year when no specific date number was given? And is dropping the he/she for a brand-new singular "they" is starting to make sense, especially when repeating he/she more than two times in a sentence just sounds stupid.). People say, "I'm planning on going to the party,"
when they should say, "I plan to go to the party." Actually, the first sentence has two errors: 1) the present progressive form ("I'm planning") clutters up the sentence and 2) "on going" is mixing the preposition with the verb. Prepositions don't go with verbs. Period. They partner with nouns on occasion, but never with a verb. The whole definition of a preposition is to show location (think pre + position). 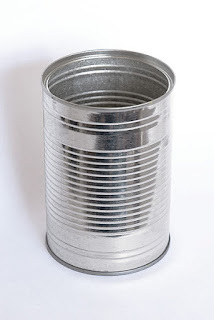 A good way to remember prepositions is the hollowed out tin can. You can go in it, you can go out of it, you can be on it. You can be on top, below, beside, inside, outside; you can go around it, through it, under it, above it (you get the point). All those words are prepositions -- they show position. Of course, this is English, so there has to be an exception or two. The word "to" is one of them. "To" can be a preposition ("I went to the store."). "To" can also be part of the infinitive form ("to run," "to walk," "to join"). And therein lies the problem, I suspect. Saying "I plan on running later" gets rid of the awkward progressive form, but keeps the preposition/verb mix-up. It's a phrase that tries to make a prepositional phrase out of a verb. But prepositional phrases have nouns at the end of them, not verbs. In the above mentioned example, "to the store," to is the preposition and store is the object of the preposition. Together they make an entire prepositional phrase. The firetruck screamed down the street, around the corner to the fire. So, what does this rant (and grammar lesson) have to do with today's workshop? Let it serve as a reminder that knowing the grammar rules are important...because only if you know them do you know when to break them. Misusing the language is a great way to show the education level of a character. If the words, "plan on" (or worse, "planning on") come out of a character's mouth, that let's the reader know about the person without any further description. No specific activity today. Just take a look at your manuscript and make sure you've used the infinitive form and not the sloppy one -- unless you meant to! Did you see my interview over there? Sizzling Hot Books asked some great questions and I had a lot of fun answering. Leave a comment under the interview for a chance at at free ebook! Some people swear music is necessary for their creative juices to start the words flowing. Others prefer silence. Still others need the background noise of everyday life in order to focus on the story taking shape under their fingers. Today we’re going to focus on the use of music to create story. Next week we’ll deal with the other preferences. Some authors choose a particular song that embodies either the theme of their book or perhaps is a signature of one of the main characters. They'll put it on repeat - and then play the song continuously as they write, letting both the rhythm of the beat and the lyrics of the song sway the way a character speaks or a scene flows. Other authors have a song for each character - or a piece of music for each scene. The smart authors publish their playlist so readers can listen along as they read the book! Music can also act as inspiration – the lyrics of a song come on the radio and a new story starts in your head. Or you hear a beautiful motif that perfectly captures an emotion and the next thing you know, you’re expressing that same emotion in words. It’s this last that we’re concentrating on this week: using music to inspire a story. Tune into an Internet radio station that allows you to create your own channel (I like Pandora, myself). Create a station of New Age instrumental music. Alternately, choose a film composer (Howard Shore, Hans Zimmer, Ennio Morricone). Why these two types of stations? Because they often evoke emotion – and that’s what you’re looking for today. Music that moves you. Direction doesn’t matter, movement does. Then minimize the screen and don’t look at it again. Don’t look to see what film the music is from or what the name of the piece is. If you do, your thoughts will be “tainted” by the information. Instead, just listen and write. Let the sound enter your ears as music and come out your fingers as words. Use either your journal and a pen/pencil or write right at the computer. Whatever works best for you. But keep writing until the last note fades away. Do another if you wish. Maybe even one more after that. Give them a few days before you pull them out to read again. With fresh eyes, did you capture the emotion the music expressed? How can you use this piece of writing? Will it fit a current work in progress? Does it start an entirely new story? Music can inspire us. Let it. This blog will soon need to be a source of income in order for me to justify spending time on these workshops. Please consider donating to keep it active.